Should you play Dead Target? Dead Target (MOD Unlimited Gold/Cash) – after hearing the name of this game, you can also know that your goal in this game is killing the hideous zombies. This game is released by VNG GAME STUDIOS, a publisher based in Vietnam. In many ways, I think the game has many similarities with Dead Trigger, but this game has some differences that make your zombie fight more dramatic and scary. 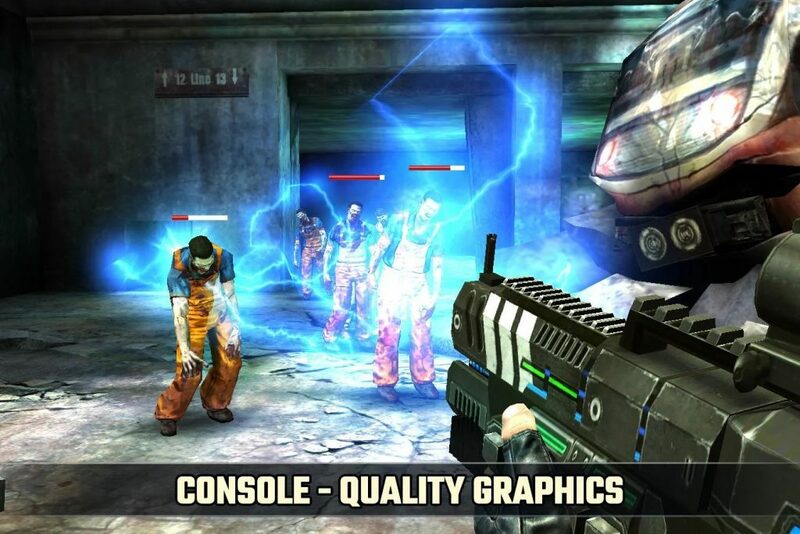 With over 70 million downloads on Google Play, it can be said that Dead Target is one of the most popular zombie games of all time. Currently, the game is free to download for both Android and iOS, you can download it via the links below the article. But first, let find out some interesting things about this game. Dead Target‘s context was built in 2040, the time of human science and technology is taking an important step forward. At the same time, World War III is happening. 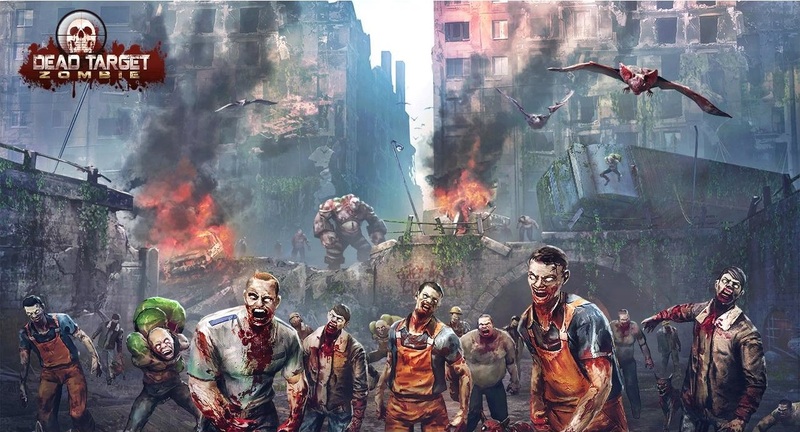 The defense minister signed with a company called MZ, planning to develop the project named Dead Target: transform soldiers, prisoners into zombies and use them to attack other countries instead of using troops. But unexpectedly, the MZ broke the treaty and activated the deadly disease of the world. The world is on the brink of destruction. To begin with, MZ uses a city to test their disease, and this is a threat to governments. Unable to let this happen, a task force was dispatched to gather information about the disease and prevent them from spreading to other cities. But it was too late. Finally, the task force died, only you and Agent M survived. Kill or be killed? Living or becoming a zombie? 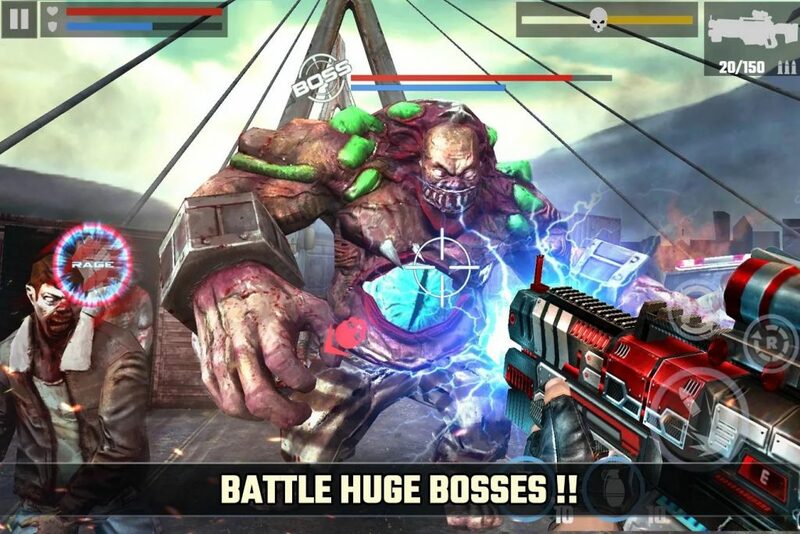 Stay fighting, kill the zombies, save agent M and wait for reinforcements to save you. Basically, Dead Target‘s context and gameplay are quite similar to Dead Trigger, but the special thing is that you can’t move. Yes. I’m serious. Many players complained about this, perhaps we are used to shooting and “kite” zombies in other games, so standing still in front of dozens of zombies rushing at you is not a pleasant experience at all. However, this has pushed the player’s level of fear and drama to a new level. 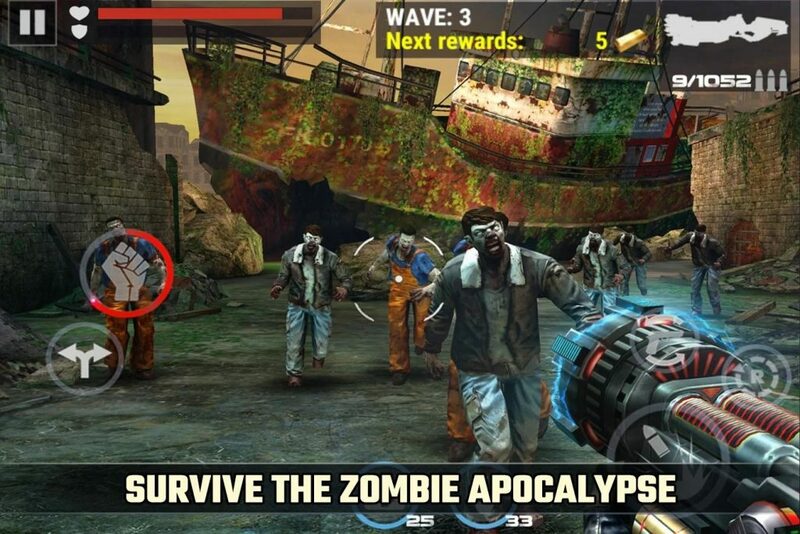 Don’t run away, you can completely stop the zombie invasion with your weapon and the support of the SWAT force. What I like most about this game is that you can’t guess what will happen next. You can’t tell where the zombies will come from and what their abilities are. Sometimes some zombies look weak but they can withstand hundreds of bullets. Some zombies have the ability to vomit out axit or even a ferocious zombie dog willing to rush straight at you. Under any circumstances, you must try to kill as many zombies as possible. It not only helps you survive but also brings a significant amount of gold. The fastest way to kill a zombie is to aim at their head. Aiming at the chest is easier, but in return, you get less money and sometimes you need more than one bullet to kill them. You should adjust the increase or decrease the sensitivity to be able to aiming the most accurate way. In an FPS game, what most players are interested in is the arsenal. 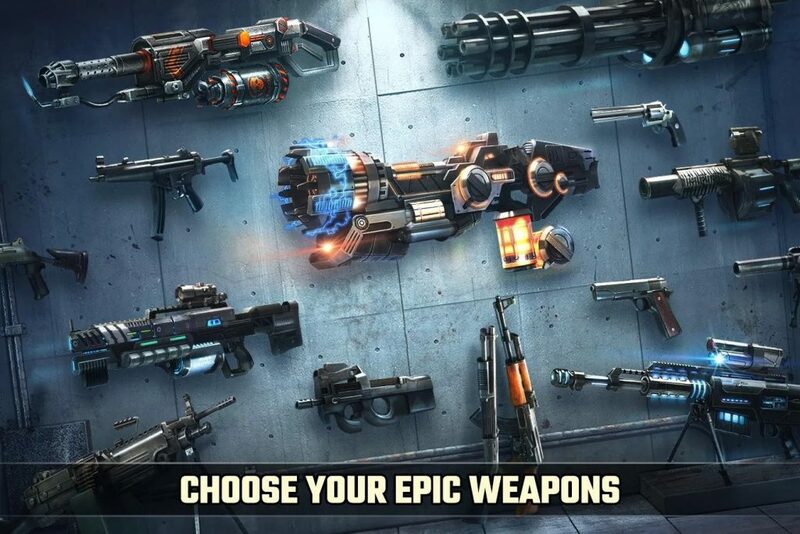 Through each level, you can explore hundreds of modern weapons of Dead Target. The game has a lot of different weapons like rifles, machine guns, sniper rifles, pistols, grenade launchers … Starting with a standard pistol, you can complete most levels with a pistol and MP5. Later, the zombies become stronger and more unpredictable, which is a good time to explore new guns. Buying new weapons and upgrading them is helpful if you get stuck in some stages for a long time. Dead Target‘s graphics were developed based on the Unity Engine 4.0 platform, providing stunning image quality with amazing detail. The game has great compatibility that running stably on most mobile devices, even if it’s a Lumia 520. The dark background is mixed with horror effects that make fear of players are increasing. Besides, music and sound help the game become more attractive and dramatic. The answer is “yes”. Dead Target is one of the best zombie games I’ve ever played. This is an offline game, you can play anywhere, anytime. If necessary, we have a mod version available (Unlimited Money) below this article.